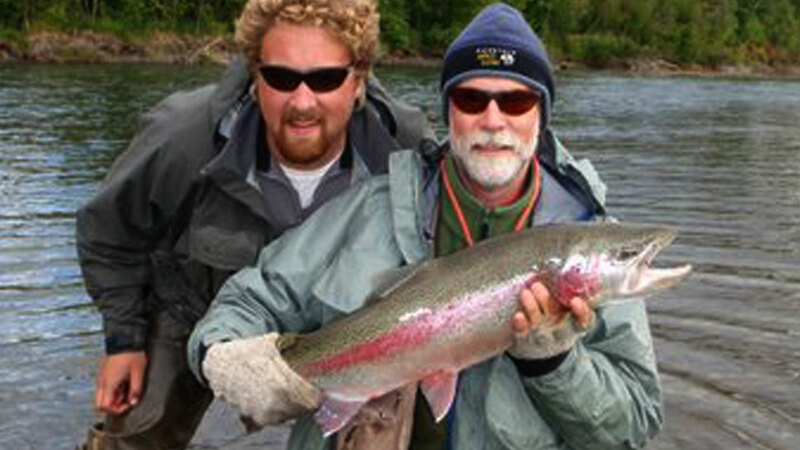 The Aniak is one of Alaska's best rivers due to its variety - rainbows, dollies, grayling, salmon, sheefish, and northern pike - and the sheer number of fish you'll catch. 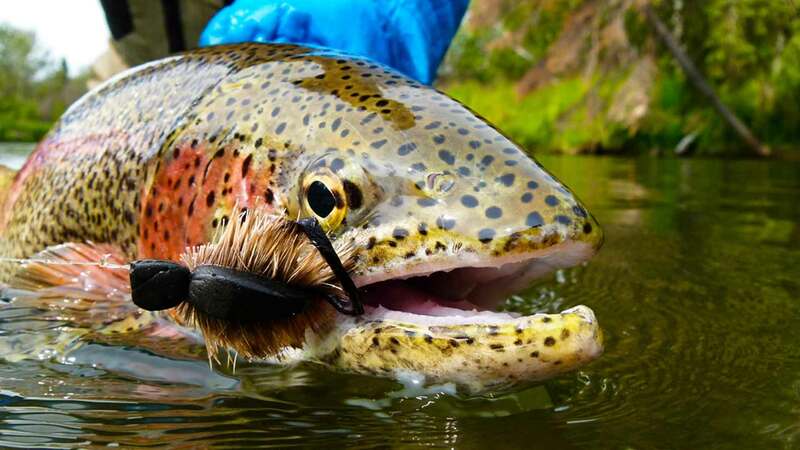 The Aniak River is one of the best trips in the world for novice fly anglers because each day, they’ll get so many opportunities to hook and land large quantities of fish. Spin or fly fishing. 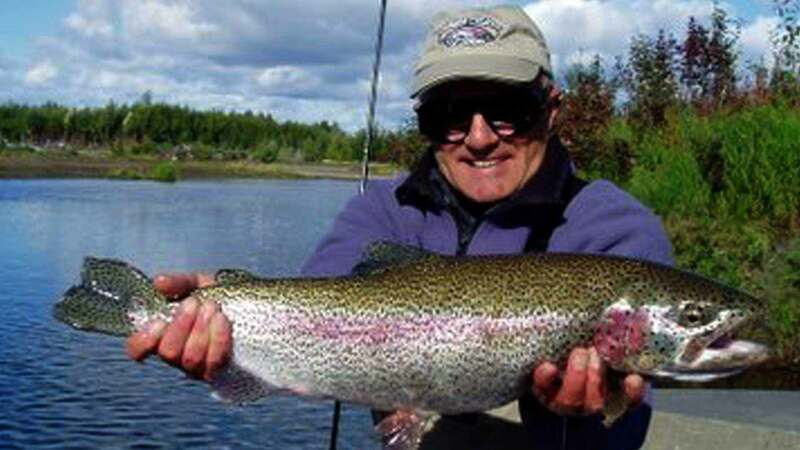 Aniak's rainbow fishing may be some of Alaska’s best. 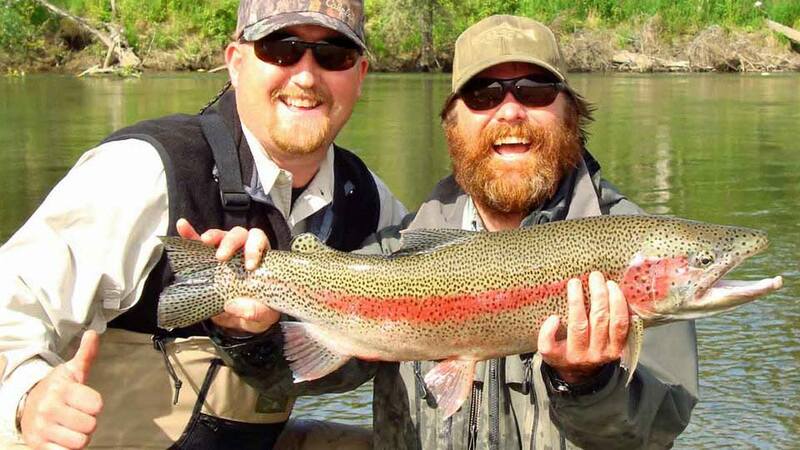 Rainbows average 21" in length, with up to 30" bows landed. 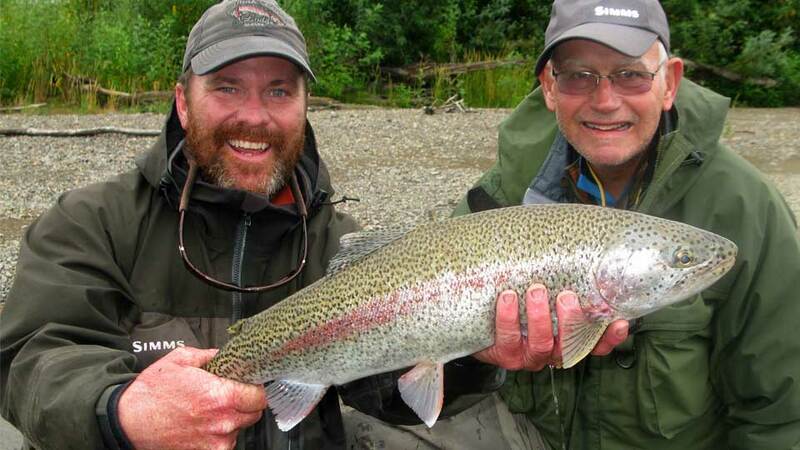 The Aniak River has some of the best mousing for rainbows in the entire state of Alaska. 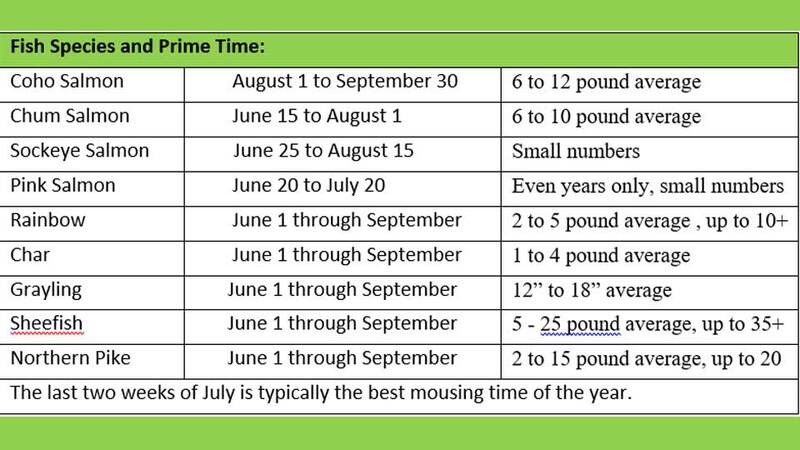 The last two weeks of July is typically, the best mousing time of the year with peak char, grayling, and northern pike. The Aniak is the best producing tributary of the Kuskokwim River for silvers. Silver fishing peaks from August 10th to September 1st. Our clients have landed over 100 silvers in a day here. 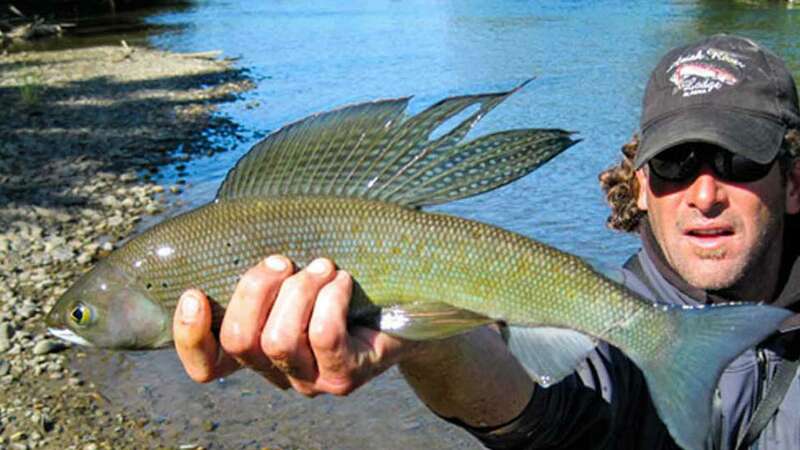 The Aniak is now a catch-and-release fishery. Aniak's unique locations offer many of the same options as expensive lodges without the need for fly-outs, allowing more time to fish. 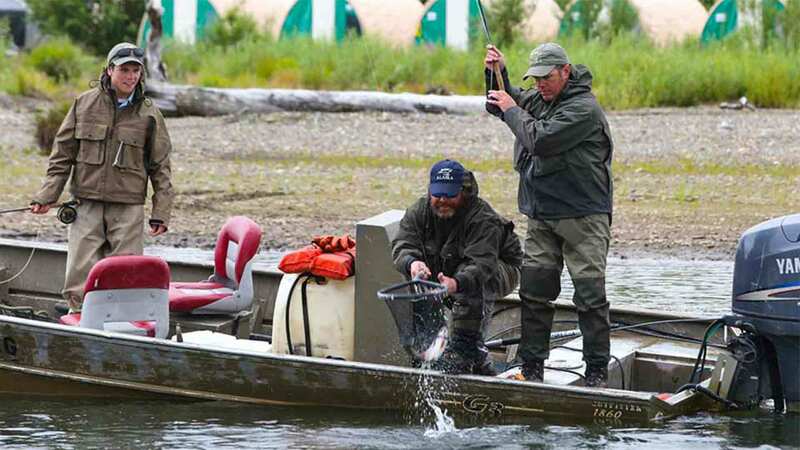 2019 season: Aniak River Lodge is open June 15th through September 14th. You’ll be fishing a combination of boat and bank angling, depending on the river conditions and species. Boats: The Lodge has seven, 18’ G3 Jet Boats with Yamaha four-stroke 60 to 90-HP motors. Two anglers per jet boat and Coast Guard licensed guide. Fishing Days: You’re guided each day from 8:00 a.m. to 5:00 p.m. Fishing license is not included in the package ($70.00 in 2019). See our Aniak River Lodge video. 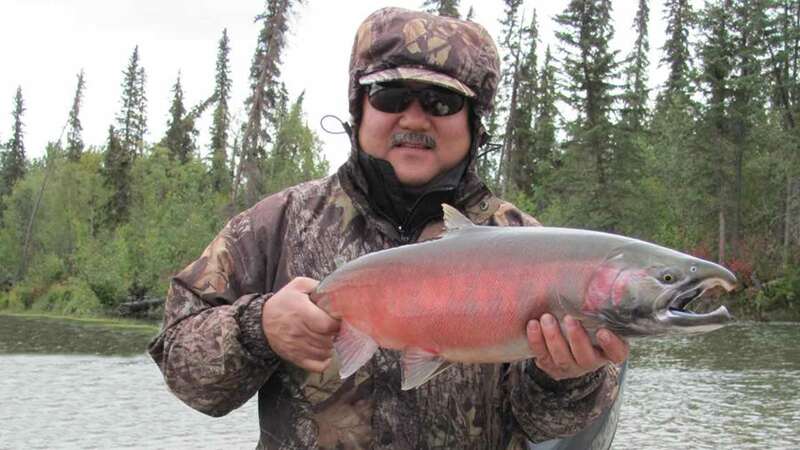 See Aniak River Mousing video. Aniak River Lodge offers a unique lodging experience with a Base Lodge, the new Mid-River Lodge, and the upper river deluxe tent camp known as Trout Camp. Each location taps into their diverse fishing. 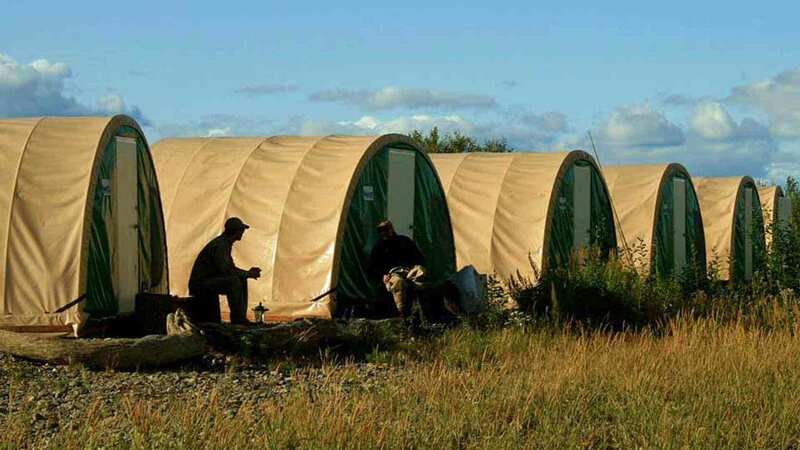 Their deluxe tent camp is situated forty miles above the mouth of the Aniak. Here, you'll target leopard rainbow trout and be close to the action for salmon, Arctic char and grayling. You'll also be near islands and braids that create the best rainbow fishing. Aniak River Lodge has the only fixed camp operations on the river. The region is loaded with an abundance of wildlife. It’s not uncommon to see brown and black bears as well as moose, wolves, otter, mink, beaver, wolverine, osprey, bald and golden eagles. 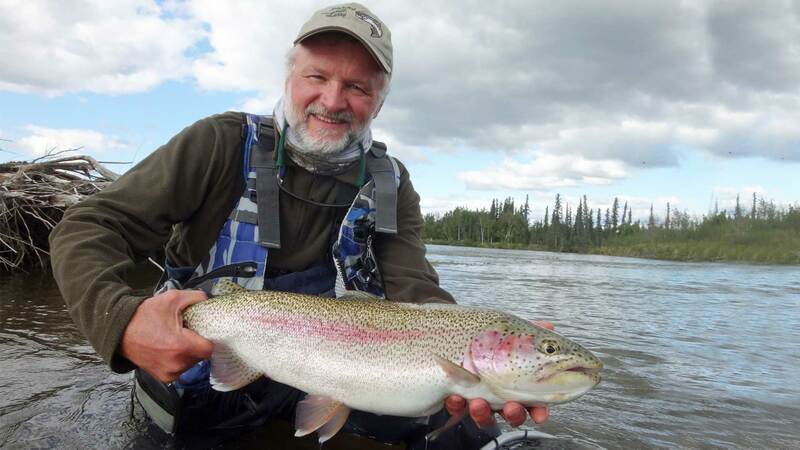 Guy Schoenborn with Aniak River rainbow. You're not restricted to our hosted weeks. Provided there are openings, we can book Aniak River Lodge for a time that works best for you. 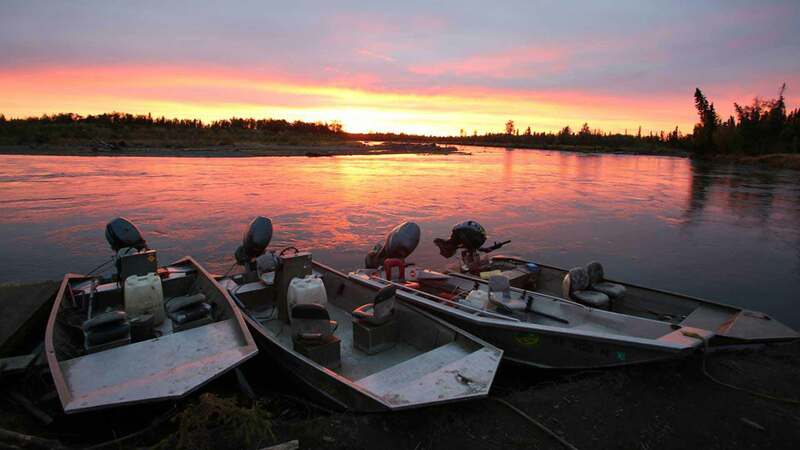 Click here for our Aniak River Hosted page. On Saturday at noon, you'll depart Anchorage for a 90-minute flight on Ravn Air arriving in Aniak about 1:30 p.m. No flights are included in the package. (The roundtrip flight from Anchorage to Aniak is approx. $475.00 (2019).) At Aniak Airport, you'll be greeted by the Lodge staff. They’ll drive you to Aniak's Base Lodge, a five-minute drive from the airport. Here, you'll have a sandwich and beverages. After a brief orientation, you'll fish your way upriver 25-miles to Aniak's new Mid-River Lodge. You'll have about three hours to fish for sheefish and pike before your arrival at the Lodge at about 5:30 p.m. Your gear is transported on a separate boat, so by the time you arrive it will be in your cabin waiting for you. Before dinner, if you want to fish unguided in front of the Lodge, you're more than welcome to. Aniak River Lodge has the only fixed camps on the river. You'll stay five nights at Aniak's new Mid-River Lodge, and two nights at their deluxe upriver tent camp. The new Mid-River Lodge hosts 14 guests and is about 25 miles from the town of Aniak. Fifteen miles upriver from the Mid-River Lodge is their deluxe tent camp known as Trout Camp. This camp has hot and cold running water, shower facilities, a great dining tent, and carpeted high-end WeatherPort tents with cots, sleeping bags, fresh linens, mosquito nets, and individual heaters. The tent camp also has a drying tent for waders and jackets. Hot coffee, snacks, cold sodas, and outlets are available for charging camera batteries. Deposit required: $2,500.00 down in 10-days, with the balance due 90-days before your arrival. Should you need to cancel your trip, prepayments and final payments are nonrefundable unless you find a replacement. We strongly recommend purchasing trip insurance. If you cancel six months before your trip, Aniak River Lodge can usually find a replacement. Lodging, daily housekeeping, limited Wi-Fi, meals, guided jet boat fishing, ground transfers from Aniak Airport to their Base Lodge/welcome facility, boat transfers, and all flies. Airfare to Anchorage and Aniak, hotel and meals in Anchorage, fishing license ($70.00 in 2019), king stamp, if applicable ($30.00 in 2019); liquor, fishing equipment, tackle, gratuities, and anything not mentioned under inclusions. Sunday – Tuesday: You’ll stay at the new Mid-River Lodge. 8:00 a.m. Begin your fishing day. 5:00 p.m. Back to the lodge for a hot shower and hors d’oeuvres. 7:00 p.m. Dinner. Then, guides discussing the following day’s fishing. You’ll spend Wednesday and Thursday night at Trout River, 15-miles upriver from the Lodge. You'll stay in high-end WeatherPort Tents. After dinner, share fishing stories around the fire pit and watch the sunset. Friday: After a full day's fishing, you’ll return to the new Lodge by 5:00 p.m. Shower, hors d'oeuvres, dinner. Pack for the next morning's departure. Saturday: Check out at 6:00 a.m. for your departure home. After breakfast at 7:00 a.m., guides and staff will transport you and your luggage from the new Lodge down to their Base Lodge in Aniak. At 10:45, the shuttle leaves for the five-minute drive to the Aniak Airport.